November, 2018- Office Interiors, Georgia’s oldest Teknion dealer, is thrilled to announce the opening of a another office in Greenville, SC. 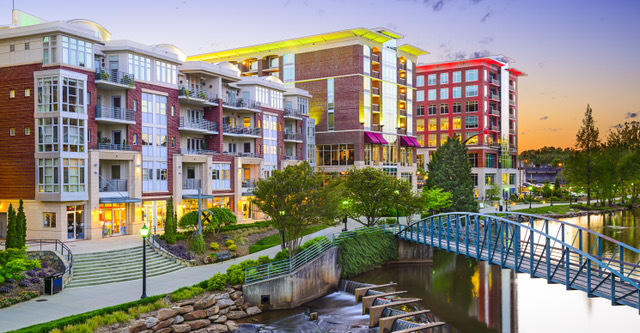 The Atlanta based firm works nationwide but this office will serve all of upstate South Carolina where there is a tremendous opportunity as it is the fastest growing area in the state. In 2016, more than half of the State’s announced projects were in Upstate South Carolina. No wonder top companies such as BMW, Milliken, Michelin, and GE Power have headquarters there. Office Interiors is part of a group of affiliates that address real estate, property management, and architecture solutions which is comprised of approximately 200 employees. Office Interiors is a rapidly expanding firm specializing in commercial corporate, healthcare, non-profit, government and higher education industries. Some of their most impressive clients are Smile Direct Club, UPS, GA Power, ADT Security, Orangetheory Fitness, Blue Bird bus company, and most challenging, five campuses for the Georgia Department of Behavioral Health. The workplace is constantly evolving which is why their unique approach, knowledge base and over 30 years’ experience puts them a prime position for continued growth. With the combination of space planning and technology, a workspace defines a company’s image and plays a critical role in recruiting and retention of employees and customers. So you want to get it right the first time. They work with the client to determine what the business goals, culture, and needs are while ensuring all objectives – budget, function, aesthetics, and timelines – are met. The solution provides innovative inspiring environments which has been proven to increase productivity and employee retention.